Enjoy this post written by my staff writer Jordann. My emergency fund has gone through a bit of an evolution since I started it. At first it was non-existent. I didn't have an emergency fund in University. Money was tight, and I was more concerned about having enough money for rent, than I was about putting money away for a rainy day. That all came to a screeching halt when I got in a car accident in the Summer of 2011. I was fresh out of school when I totalled my husband's car and we didn't have any money to fall back on. The month that followed was anything but smooth. We had to deal with replacing the totalled car and a dozen visits to the doctor as my broken wrist healed. I missed time from work, and we both felt the financial strain. Once that ordeal was over, I vowed to never again be caught so unprepared. So, I opened up my very first Tax Free Savings Account, and started saving. I still remember transferring that first $25 into that account. It looked so pitiful, all alone in there. What good was $25 going to do in the event of an emergency? But I kept at it, and over time that $25 grew to a few hundred dollars. Eventually I had around $400 in that account. $400 better than nothing for a first time saver like myself, right? I really wanted to get over a grand in that account though, so I kept up with my little $50 and $100 transfers, and my account slowly but steadily, grew. My emergency fund finally got to the point where I could actually start using it about a year after I established it. It was sitting at about $1,600 at that time (I was aggressively paying off my debt, and slowly building my e-fund) and our new (to us) car needed some repairs. No problem, I just pulled from the emergency fund. That's what it's there for right? Unexpected car repairs definitely count as an emergency. Just like an emergency fund for a car, companies like Insure 4 a Day can also help you insure your car when your car is in the shop. It felt so good be not be totally thrown off course by a $300 car bill. Instead of looking at that bill in terror like I used to, I could just calmly say “I've got money for that”. What a revelation! Of course, as soon as I withdrew the cash, I wanted to replenish the account right away, and I did. I've continued to add to this account (with some help from my husband) until it sits at a very respectable “Baby Emergency Fund” size of $2,200. My emergency fund evolution isn't done yet though. Once my debt is paid off, I plan on growing my baby emergency fund into a full-blown, healthy, “grown up” emergency fund. Instead of a small $2,200 in savings, I want to have 3-6 months of living expenses socked away, to insulate me from the lovely surprises life throws our way sometimes (like car accidents and broken wrists). It'll take a long time to build up this kind of cushion, but I'm not put off by that, I'm no stranger to saving. It's going to be wonderful to finally build up some cash reserves instead of paying off dumb old debt. My emergency fund started off small, but we all have to start somewhere, right? I have big plans for my emergency fund. I'm curious, how much cash do you have set aside for a rainy day? It’s great that you weren’t discouraged by starting off small. Isn’t that how we all start pretty much everything? Like you, mine grew slowly over many years and I made an effort to increase my monthly contributions along the way. I also have separate savings for things like car repairs, which I consider to be expected even though you can’t predict when. For me, the e-fund at this point is really for big emergencies like job loss, disability or really big medical bills. But all of that took time to get to and I started out just like you, with a single savings account and a small amount of contributions every month. That’s smart to have another savings account for less urgent emergencies. I hope to have a buffer in my chequing account some day that achieves the same thing. One thing we do (that I recommend to others) is to live entirely on last month’s income. I’m a user of YNAB budgeting software, and it’s awesome for this, because if you haven’t socked away enough money for “next month’s” budget it shows you a big red negative balance (even if you’ve got money in your account). It’s been great for helping us keep that $3k cushion each month in case of emergency. Love to see emergency funds growing, so many folks can benefit from having them! Being one month “ahead” is a great built in emergency fund! I am still in Origins territory, sort of. I have a lump of money that is close to 4 months of expenses, but I am trying to leave tat alone in my TFSA to invest. So currently, I have a “new” Emergency Fund that has $475 in it. It is slowly growing into “Baby-size”. But if something large happens that would wipe out my small a emergency Fund, I can tap into some of the liquid funds in my TFSA. That’s smart! I also have other money set aside for travel and taxes, and if a true emergency hit, I could access those funds to bolster my emergency fund. I also would really like to have 3-6 months stashed away, but I’m definitely not at that level yet. The security you can find in a well-funded emergency fund is great. Most people have access to some sort of emergency line of capital, like credit cards, but it’s so much preferable to have a cash reserve for when emergencies come up. That’s true! If I really needed to, I could use my line of credit and credit cards to keep me going, but I like to pretend those sources of credit don’t exist, it’s too easy to get caught in a credit paying credit cycle these days. I’m pretty much anti cash sitting in an account doing nothing. So I only have between $4-5K in a savings account. the rest of my money is working for me. I understand why some people feel the need to have a large amount of cash sitting around and if that is what it takes to make you sleep well at night then I say more power to you. That’s kind of why I don’t have a big emergency fund right now. I can’t stand the idea of letting money languish in a savings account while I have debt that is costing me interest. That said, I won’t mind missing out on the opportunity cost of investing my money if it meant I could sleep better at night. We have managed to build an emergency fund that would cover about 8 months of living so we’re doing pretty well. I still want to make it go as high as 12 months of living, but there’s no hurry! I’m at around $8,500 right now. I’m shooting for 10k though. Hopefully I’ll make it there soon! Nice! 8.5k is a great emergency fund, good luck getting to 10k! We fluctuate between carrying a buffer of $10K and $25K. It depends on what we see as our mood and priority at the moment. Wow that’s a serious emergency fund! Does your type of employment influence this? Our emergency fund probably has more than it needs at this point and I’m to the point where we might move some of it into investments or put it down on our next house. I agree with Mrs. Pop that 10k-25k is probably a reasonable level. I would definitely be happy with that level, that’s like a year of living expenses for me. I totally understand that! My EF gets pretty depleted too when I’m on a debt paying rampage. I’m more aggressive that most when it comes to emergency funds. I would say that only once every 5 years for me personally will something come up where I need to pay for something that is more than 1 months expenses tomorrow. Therefore, I’m on the lower end and keep only 1 months expenses in completely liquid funds, and 3-6 months in investments which can be very easy liquidated, but I don’t intend on drawing on more than once in a blue moon. My husband and I have just $1000 in our emergency fund right now. We’re aggressively paying down our student loan debts, and feel comfortable with $1k for unexpected expenses. Once our loans are gone, we’d like to have the 3-6 months expenses built up too! That is a good idea when paying down debt. After all, why let money sit in a savings account when you’re getting dinged in interest charges on your debt? I don’t have a distinct emergency fund account (maybe I should?) but I have a high interest savings account that I transfer money into every pay cheque. The money is there for unexpected expenses, travel and large upcoming expenses (downpayment maybe?). I have probably 1.5 years of living expenses in there. Maybe too much, but it’s more than just my emergency fund. There’s definitely no rule that says your emergency fund has to be in a separate account. I think as long as you have 3-6 months living expenses put away (which you clearly do) you’re fine. We have about 4k in savings right now. We hope to have saved 6k by the time our baby is born on Christmas. Inevitably, we’ll have to spend some of that to prepare for the baby’s arrival, but that’s what it’s there for! I think a “healthy” emergency fund is the number one key to financial success in life and yet most people do not focus on it enough. I think the fact that you even give it attention is fantastic! I advise my clients in their 20s and 30s to max out emergency funds and not retirement funds. Oh really? 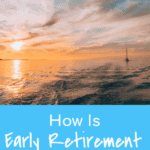 Even with the principle of compounding interest and starting to save for retirement at a young age? Hi Jordann. Right now I’m just throwing everything at student loan debt, I figured I start an emergency/savings fund after that. Do you recommend I start now putting away a bit of money? Before the debt is paid off? 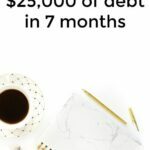 For me, I liked having a small emergency fund while paying off debt because that way if something unexpected came up, I could pay for it without having to interrupt my debt repayment. we have about 13 grand in savings accounts right now, but we’ll be using about 9k to pay off the rest of our debt in january (we would have had about 30k in savings this year if we didn’t have to pay off student loans hmph). 2014 will be all about building up our savings since we will no longer have to pay off debt! we plan on saving for a house down payment, and we’ll use that as an emergency fund until we buy a house. Then we’ll start over with replensihing a real emergency fund. our jobs are pretty stable though as far as jobs go so I’m not TOO worried. We’ll definitely need insurance for in case we have an unexpected disability or something like that. 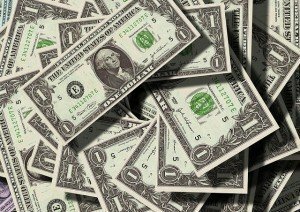 13 grand is an excellent emergency fund! You’ve clearly shown you are good at saving so I wouldn’t be concerned about being able to save for a house downpayment in 2014! It is great to see that things worked out well for you. I am starting my fund and it is still very small like yours once was but it is very comforting to know that you have a degree of protection if you have an issue. I have about 1 month of living expenses saved up in my emergency fund. 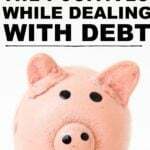 I am also working on paying off debt this year so it’s low at the moment. My goal is to have at least 6 to 8 months saved up. 1. I have an emergency fund sufficient to cover a minimum of six months of expenses. You are definitely on track to build real wealth over time. I know it can be done based on my personal experience. Great post! We have about one months income stashed away. We really would like 3 months of income in our savings. Once we pay off our debt we will add more to it. Its nice to know that when something comes up it won’t “hurt” too bad because of the money we have stashed away. I only have enough for rent for a month, right now. My plan is to build that up to 2 months of rent soon. I have a secure job, so I feel okay without having 3-6 month reserve for now. My current savings goal is $500 to cover my state taxes for my former state of residence. They’ll be $500. Then, I want to save $2000 for moving expenses. Then, I have to save for a car. My total savings goal is about $21,000. great work! mine always has a few thousand in it, but i’d like to grow it even more. i’m hoping to transition careers soon so i’m trying to save extra in case there are a few slow months. The emergency fund was absolutely essential for helping us get out of debt.. I don’t think we could have done it without it. These days, we are trying to grow our fund to be able handle a more extensive income outage. How much are you planning to keep in your emergency fund? Have you started any other saving buckets (cars, vacations, down payments, etc.)? I have about $2,500 in my fund so it also is in the ‘baby stage.’ (Quite literally, in fact, as I am expecting a baby in just a few short weeks and will use most of this during my maternity leave to help with costs that aren’t covered. Without this fund, I’d be sunk!!). Like you, I’m planning on building up my emergency fund quite significantly once my debt is paid off. I totally agreed with you in the beginning with feeling like that first $25 is so measly. As my fund grew, so did my aggression with wanting to stalk away more and more. Sometimes I get depressed with wishing I could put away more each month rather than throwing that money toward debt. But this is where you live and learn. I know now the effects of having so much debt and how limiting that is to your life. Never again! I had gotten my EF to just over $1K (and other various amounts) but drained it to make my final payments to my consumer debt. I tried growing it again but found it was making more sense to pay off our renos faster (only $2,200) which has a 7% interest rate. As soon as that’s paid off I very much intend to aggressively save next year. Starting small is the best way to get started! Too often, people dismiss doing anything at all. You can always add to your savings or investing. Starting is the hard part. No problem, I just pulled from the emergency fund. That’s what it’s there for right? Unexpected car repairs definitely count as an emergency. Just like an emergency fund for a car, companies like Insure 4 a Day can also help you insure your car when your car is in the shop. We have placed money in the emergency fund and taken it off, when needed. The last months have been tougher, since we’re expecting a baby and there are also a lot of taxes to be paid. But we do save in the EF and it helped us not get into debt, if we needed to cover something ‘unexpected’. I know how it’s like to not have any money and now, that we do have our small ‘cushion’ I’m really more relaxed. Just as you said, anything that comes our way is no longer such a huge deal, it’s something we can easily cover and then move on. I try and keep at least 3 months worth in my emergency funds. I didn’t do well with it as a teenager, but once I got into college, I started to build up my emergency funds and set a specific number to get to every year. We are currently at $1000 and we are paying our debt. We just started in June. Before that we were living with no sense of financial direction. My emergency fund is all but nonexistent right now. Definitely something I need to change ASAP. Even just having 1k sitting in an account would be a comfort.